This is the fourth post in a monthlong series that started here. Each post will take about two minutes to read and may include an action item that takes the reader another two minutes to complete. I am writing this for an audience of people who know nothing about frequent flyer miles, and my goal is that by the end, you know enough to fly for free anywhere you want to go. There are currently some huge sign up bonuses that folks new to the miles game can pick up. I’ve categorized some of the best offers below, but before applying for any cards, I recommend checking out my Introduction to Travel Credit Cards. 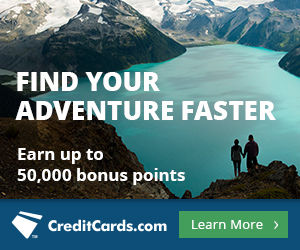 Make sure you sign up for a card that earns points or miles that are useful for your specific travel goals (i.e. the corresponding award charts for redeeming them have reasonable prices to where you want to go, and there is also award space). It breaks my heart when people come to my Award Booking Service with the wrong miles for the trip they want. There’s no reason to Make the Biggest Mistake in Our Hobby. We also offer a Free Credit Card Consultation Service to help point you in the right direction if you don’t where to begin (or if you’ve been in the game a while but are confused by all the new issuing banks’ sign up bonus rules). While the travel rewards cards below are issued by varying banks, a point for beginners to note is the infamous Chase 5/24 rule: once you’ve opened five credit cards within the last 24 months, Chase will not approve you for *most* of their cards. Most business credit cards won’t count against you. The Chase Sapphire Preferred is a personal card that earns 50k Ultimate Rewards after spending $4,000 in 3 months. Ultimate Rewards transfer 1:1 to United, British Airways, Korean, Southwest, Virgin Atlantic, Hyatt, Amtrak, and more. The Chase Sapphire Reserve offers 100,000 bonus Ultimate Rewards after spending $4,000 on the card in the first three months. My review of the Sapphire Reserve card explains its other benefits like access to 900 Priority Pass lounges for you all travel companions, $100 global entry free credit, and 3x points on travel and dining. You also get $300 in Air Travel Credit each calendar year. So the first $300 in plane tickets/award taxes & fees/in-flight purchases/Airbnb’s/Ubers etc. in 2016 and the first $300 in travel expenses in 2017 are free. That’s another $600 in free travel expenses before you pay the annual fee again in 12 months. Ultimate Rewards can be transferred to six airline partners for high value redemptions. I recently redeemed Singapore Airlines miles to fly from Atlanta to Honolulu in a flat bed for 30,000 miles. I’ve also used Singapore miles to fly from Colombia to Argentina in Business Class for half the price it would have been with United miles. Singapore miles are also the only way to fly Singapore Suites, cheaper than United miles to book United flights to Europe, and offer two stopovers in addition to your destination on roundtrip awards. I also love Air France Flying Blue as a transfer partner because of its cheap awards to Europe, Israel,Hawaii and South America. Ultimate Rewards can also be used like cash toward the purchase of any airline ticket with no blackouts. You get 1.5 cents off any flight. That means 100,000 bonus points are worth at least $1,500 in flights. The card comes with a $450 annual fee that is not waived for the first year, but the myriad of benefits and the $600 in air travel credit during the period covered by the $450 annual fee more than make up for it. Citi / AAdvantage Platinum Select MasterCard offers 50,000 bonus miles after spending $3,000 in the first three months. You’ll also get a free checked bag, Group 1 Boarding on American Airlines flights, and 10% rebate of the miles you redeem during a calendar year (up to 10,000 miles). American Airlines miles are some of the most valuable miles to get you to Central and South America. American Airlines flies more routes from the United States to Central and South America than any other carrier–by far! You can stretch your American Airlines miles to last a long time if you redeem them on economy Off Peak awards. Being a Citi AAdvantage Platinum cardholder also allows you to booked Reduced Mileage Awards. The Citi / AAdvantage Platinum Select MasterCard has no annual fee for the first 12 months and is $95 thereafter. The Ink Business Preferred is a brand new card from Chase that offers 80,000 Ultimate Rewards sign up bonuses after spending $5,000 in the first three months. Ultimate Rewards transfer 1:1 to United, Singapore, British Airways, Korean, Southwest, Virgin Atlantic, Hyatt, Amtrak, and more. The Ink Preferred earns 3x points on travel; shipping; internet, cable, and phone services; and search engine or social network advertising; and 1x points on everything else. The Ink Business Preferred an annual fee of $95 (not waived the first year). Citi Hilton HHonors Visa Signature Card comes with 75,000 bonus points after spending $2,000 in the first three months, automatic Hilton Silver status (fifth night free on award stays), and no annual fee. The card offers 6x points at Hilton hotels; 3x at supermarkets, drugstores, and gas stations; and 2x on all other purchases. Hilton HHonors Surpass Credit Card from American Express comes with 100,000 bonus points after spending $3,000 in the first three months (fifth night free on award stays), automatic Hilton Gold status, and a $95 annual fee. The card offers 12x points at Hilton hotels; 6x at restaurants, supermarkets, and gas stations; and 3x on all other purchases. Can I use the $250 in statement credits from the Prestige card to buy airline gift certificate? Yes. Anything that shows as a purchase from the airline should be fine. Airfare, gift cards, bag fees, upgrades, award taxes. For beginners that presumably haven’t applied for a lot of credit cards recently, I’m surprised your #1 recommendation is not to apply for all the chase cards they might want, such as Sapphire Preferred, Ink Plus, Freedom, and United. Everything else can wait. You wipe out my fair comment? Why? Just saying for beginners why not recommend apply for all Chase cards? Not an attack or anything, but you wipe out my comment. I’m done with your blog, goodbye. I assure you that was an honest accident, my apologies. Comment has been reinstated. Sometimes when I mediate comments I move too quickly and press the “unapprove” instead of approve link as they are in the same location in the comment box. Chase Sapphire Preferred, when applied at a Chase branch, can maybe get you 70K points. It might be worth a trip. For sure, thanks for the tip! Planning to apply for that Surpass card.. unfortunately, I can’t seem to give you any credit for it, since you have no links any more for some reason, and the “top travel credit cards” menu item doesn’t seem to offer it anywhere. 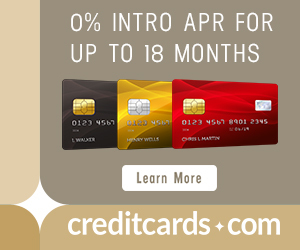 Hmm, also looks like they have a no-annual-fee card that gives 75k points for $1000 in spending. Compared to 100k points for a $75 fee and $3000 in spending, where the lesser card wouldn’t have to be cancelled in 11 months, that sounds decent. Thanks for trying, Jay, but you’re right, there isn’t a link on creditcards.com for the Surpass 100k offer. Just here. Yep, Amex also offers a 75k no annual fee card.